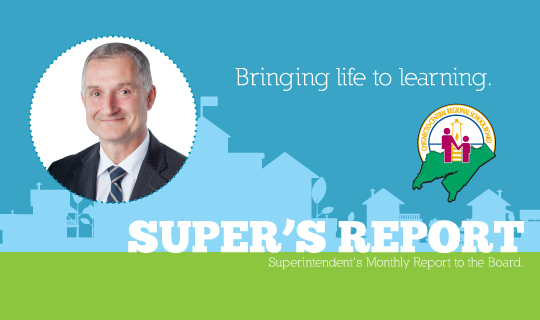 Last evening Superintendent Gary Adams presented his April Report to the governing board. This month's report highlights school breakfast programs, CCRSB's partnership with the University of British Columbia to pilot the Middle Years Development Instrument in Nova Scotia, and Professional Learning Communities at Redcliff Middle School. The report also shines the spotlight on a CCRSB employee in the new "Did You Know?" feature and has great photos and stories from our 69 schools! Read the report online and interactive!